Comfortable, clean and good location if you are there for night life. Good for young people without children. It's nice and clean, just 5 minutes from the beach. Очень приятные апартаменты. Прекрасное расположение - на тихой улочке, но очень близко от пляжа и центра города. Есть все необходимое. Светло, просторно, уютно. Очень уютный номер. Кухня оснащена всем необходимым. Сантехника отличная. Чисто. Несмотря на то, что номер находился на первом этаже, это не повлияло на благоприятное впечатление от проживания в нем. Расположение прекрасное! Останавливались уже не в первый раз там, администратор всегда встречается, номер готов, чисто, тихо. Апартаменты обеспечены всем необходимым-посуда,бытовая техника и пр. Чудесно разположение много близо до плажа. Има всичко необходимо за добра почивка. Затворен комплекс с охрана. Lock in a great price for Sozopol Dreams Apartments – rated 8.8 by recent guests! Sozopol Dreams Apartments This rating is a reflection of how the property compares to the industry standard when it comes to price, facilities and services available. It's based on a self-evaluation by the property. Use this rating to help choose your stay! 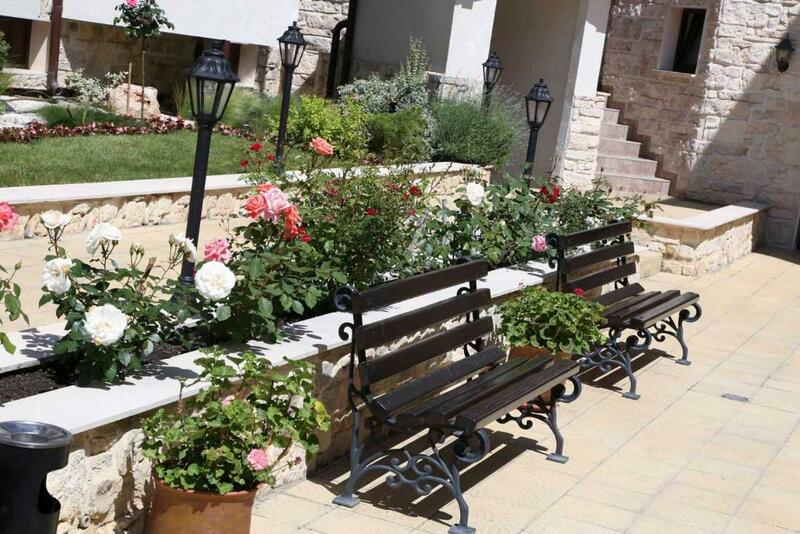 Set around a courtyard filled with flowers, Dreams Apartments is a gated holiday complex. Harman Beach is 500 feet away. Parking is available at a surcharge. Each of these bright apartments has a private balcony looking out to the Black Sea or the inner courtyard. They are all equipped with air conditioning, and the kitchenettes come with a microwave and cooking utensils. There is a seating area and a dining table in every apartment. The Dreams complex is close to Sozopol’s Old Town, with its traditional wooden houses and ancient fortress. Burgas Airport is 19 mi away. 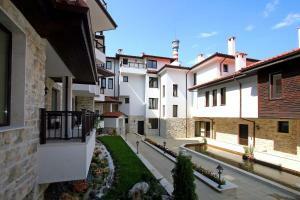 뀐 Located in the top-rated area in Sozopol, this property has an excellent location score of 9.1! When would you like to stay at Sozopol Dreams Apartments? Public parking is available on site (reservation is needed) and costs BGN 8 per day. This studio has a dining area, kitchenware and toaster. House Rules Sozopol Dreams Apartments takes special requests – add in the next step! Sozopol Dreams Apartments accepts these cards and reserves the right to temporarily hold an amount prior to arrival. The apartments are reachable from Republikanska Street and are across from the Stadium. Please note that the final cleaning fee is applicable for stays longer than 3 nights. Please note that the property has no 24-hour reception. Please contact the property in advance for check-in arrangements. Contact details are stated in the booking confirmation. 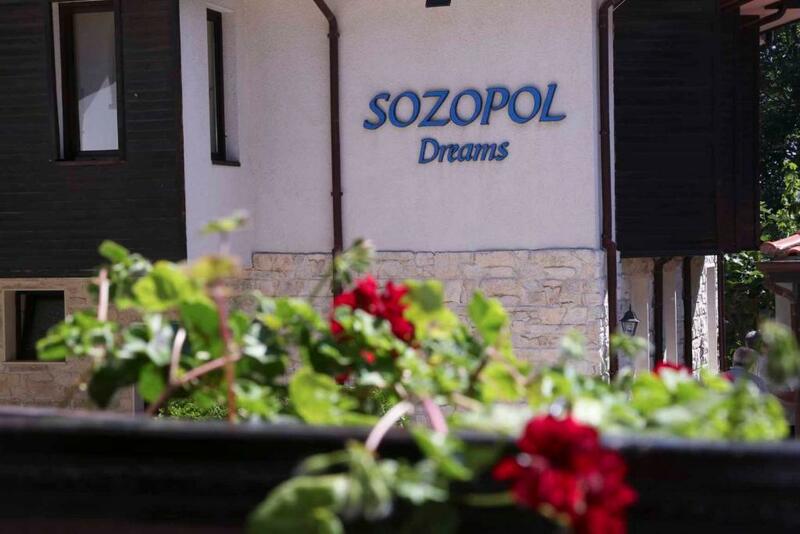 Please inform Sozopol Dreams Apartments of your expected arrival time in advance. You can use the Special Requests box when booking, or contact the property directly using the contact details in your confirmation. Too noisy during the night from the pubs with life music, not suitable for babies. There aren't thick curtains. Don't leave anything, the host will not give it to you back.